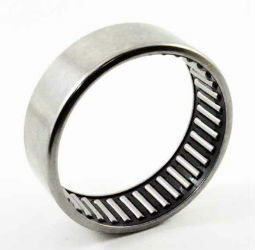 Drawn cup needle roller bearings with open ends and with closed end are needle roller bearings with a very small radial section height. They comprise thin-walled, drawn cup outer rings and needle roller and cage assemblies which together form a complete unit. Drawn cup needle roller bearings with open ends and drawn cup needle roller bearings with closed end are available in an unsealed design in accordance with DIN 618-1/ISO 3 245 and a sealed design in accordance with DIN 618-2. Under normal operating conditions, the lip seals give protection against contamination, spray water and the loss of lubricant.